Speaking before an almost entirely female audience — which stood silently throughout — Abrams declared: “The Republican tax bill rigged the system against working people. 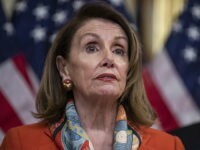 Rather than bringing back jobs, plants are closing, layoffs are looming, and wages struggle to keep pace with the actual cost of living,” she claimed. 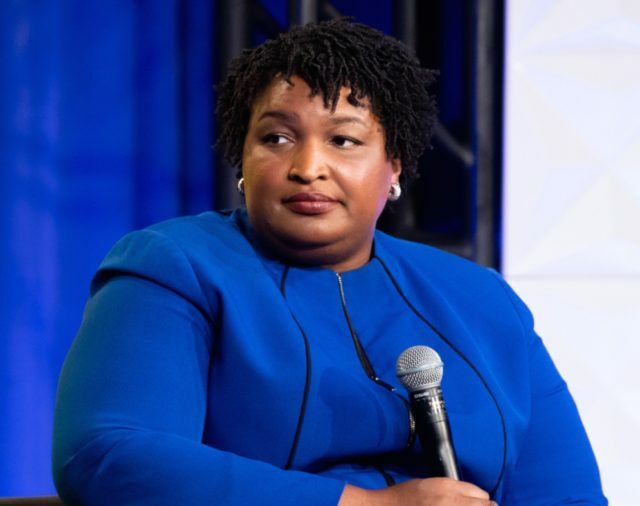 Abrams, the losing Democrat candidate for governor of Georgia in 2018, seems to have lost her grip on reality. The Trump tax cuts offered relief to middle-class families. More than that, they helped the economy soar to 3 percent growth, creating 304,000 new jobs last month alone, and boosting wages for blue-collar workers. In fact, blue-collar wages are now rising faster than wages for white-collar workers, as Breitbart News has reported. And overall wage growth is at its best pace in a decade. There are occasional plant closures — as Breitbart News covered GM layoffs this week — but they are overwhelmed by the number of new job openings. Currently, there are more jobs available in the U.S. than there are unemployed people to fill them. Manufacturing, in particular, has soared: the U.S. economy has defied the low expectations of the Obama administration to add the most manufacturing jobs in more than 20 years. Abrams apparently followed the talking points laid down by Senate Minority Leader Chuck Schumer (D-NY), who is recruiting her to run for U.S. Senate in 2020. Schumer tweeted earlier Tuesday that “the state of the Trump economy is failing America’s middle class.” He was quickly mocked.